The Orthodontic Society of Ireland (OSI) is warning people against ‘quick fix’ treatments. It reports that orthodontists are seeing a number of patients who have experienced teeth straightening problems after visiting a ‘smile clinic’ to straighten teeth. Many smile clinics offer a new treatment called the six month smile, whereby the patient has a new smile in six months, without the need to wear braces for a period of up to three years. 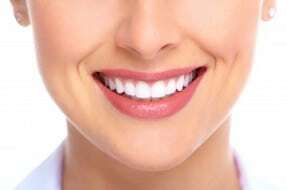 The treatment focuses on moving the teeth which you see when you smile, rather than all of the teeth. • Issues with the gums, including gum disease or gum recession if the teeth are pushed out of the jawbone if there is not enough space for all your teeth. o The teeth bite up into the gum of the roof of your mouth causing soreness. o The opposite can be true where the contact between your teeth is less, so reducing biting efficiency. o The top teeth can be pushed out to make them appear to ‘stick out’. • Relapse, the teeth return to the position they were before, which is often seen where the treatment is very quick or retainers are not provided appropriately. Other problems can occur in the initial preparation for teeth straightening, such as the wrong tooth being extracted to fit a brace or in the thinning down of teeth. These incidents may lead to a claim for dental negligence, if it is found that the dentist has provided treatment that falls below the standard expected of them and injury has occurred as a result. • Ask you about your concerns. • Outline all the different treatment options and their risks and benefits. • Explain about the different types of braces. • Estimate how long the treatment should take. • Explain about retainers at the start of treatment, and the possible need for lifelong wear if the teeth are to stay in their new place. • Explain how likely the teeth are to stay in their new position at the end of treatment (that is the stability of the final result). • At the start, explain what other procedures may be required as part of the treatment. • Give you thinking time to decide if you want to go ahead. • Give you a written treatment plan and fee estimate (if appropriate). • Tell you how much orthodontic training they have had. Patients should not feel embarrassed or afraid to ensure they receive acceptable advice and treatment. The Dental Negligence Team has experience in dealing with all types of dental related matters where treatment has not turned out as expected. If you have suffered or are experiencing problems after having your teeth straightened, you may have a claim for Dental Negligence. Please call us for specialist advice. Its very informative blog. Thanks for sharing.